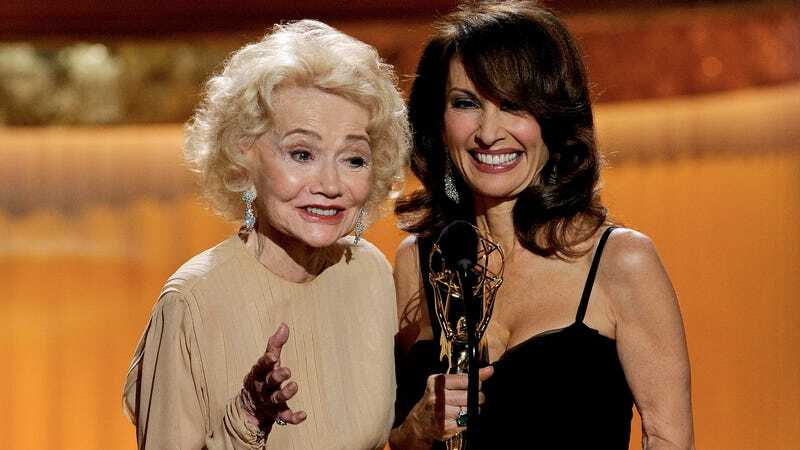 Broadcast legend Agnes Nixon--perhaps the ultimate daytime TV veteran, who worked on numerous soap operas and herself created two long-running shows, One Life to Live and All My Children--has died at 88. Harry Eckhardt, Nixon’s father, wanted his daughter to go into the family burial garment business. Hoping to distance Nixon from her interest in writing through intimidation, he set up a meeting between her and Irna Phillips, the Chicago-based creator/head writer of daytime serials, known for her high standards and commanding presence. Phillips, who ushered radio soaps into the television age, read aloud Nixon’s writing sample, a play she’d written in college. “I wanted to climb down the dumbwaiter,” Nixon recalls. Instead of dissuading her, Phillips, impressed with Nixon’s talent, offered her a job. She explained in a 1992 oral history interview with the Archive of American Television that she was driven, in part, by a desire to get some goddamn respect: “I really chafed and resented the fact that ‘soap opera’--and we’re going back here to the late 50s, early 60s--that ‘soap opera’ was used as a term of denigration. ‘Well, it was a good novel and then it became a soap opera.’” Afterward, “I got letters from all over the country saying, ‘Thank you for saving my life,’” Nixon added.